THE EU HAS BROUGHT in new rules governing the provision of information to citizens about the risks posed by industrial plants in their area. 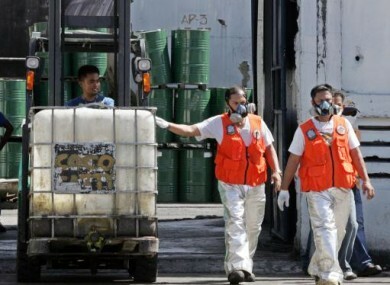 Under the amended Seveso Directive, member states must draw up emergency plans for the areas surrounding industrial installations which work with high quantities of dangerous substances. Public information about the related risks must be available electronically, while the organisations covered by the legislation will have to provide details of how alerts will be sounded and what citizens should do in the case of a major accident at the plant. Relevant authorities are required to inform anyone likely to be affected by an accident and the measures taken to address the emergency. Meanwhile, an appropriate ‘safety’ distance will have to be included in the plans for any new establishments or infrastructure near existing establishments covered by the directive. The European Commission says that the procedural requirements for public consultation on such plans and projects “have been tightened”. EU Environment Commissioner Janez Potočnik described the new regulations as providing “better protection against major accidents for citizens and the environment”. “It will also mean that citizens are better informed,” he added, “and more involved in land-use planning decisions”. EU member states have until 1 June 2015 to apply the new rules. Email “EU brings in new rules on public awareness of industrial hazards”. Feedback on “EU brings in new rules on public awareness of industrial hazards”.